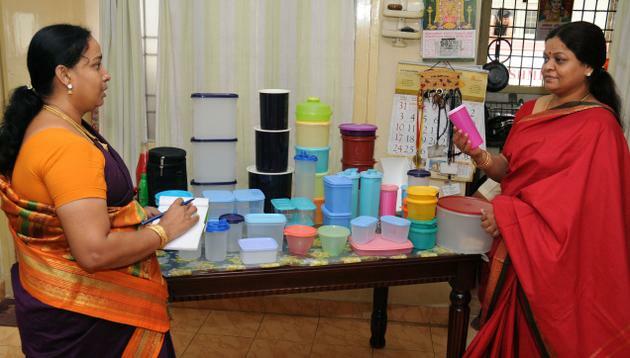 When Tupperware entered India about 18 years ago, it faced a market that was happy using steel dabbas and recycled Horlicks bottles for food storage. Plastic containers were rare back then in most Indian kitchens. But Tupperware managed to change all that, becoming the country’s second-largest direct selling company in the process. Asha Gupta, Tupperware’s first woman managing director, who is currently group president for its Asia-Pacific operations, describes the company’s journey in India and what it means to its global portfolio. You were part of the Tupperware start-up team in 1996. How did the company convince Indian women to give up steel dabbas for storing food? When we started off, the concept of food storage in plastic containers was alien to India. The mindset had been to use recycled Horlicks bottles. But we do have climatic conditions that necessitate good preservation of food. We realised there is a huge market gap, and we are known worldwide for keeping food extremely fresh. When we came, there was some resistance. But it didn’t take any time to prove to the average homemaker that this product worked. In Chennai, idli-dosa batter would sour in no time even in the refrigerator. We demonstrated that in our container, it could stay fresh not for three days but three to four weeks. They were completely baffled. When something works, people are delighted and share the knowledge willingly with family and friends. People started investing in Tupperware. We then extended the range to fruit and vegetable containers and other categories. How did you rope in the first bunch of direct selling agents? The key part was product demonstration in people’s homes in groups. Women would get together and a demonstrator would show them the benefits of product, how it worked and how it was better to carry food in a Tupperware container. When we started, our agents were those who had applied to be a part of the start-up team. We advertised, calling people to meet us… they could bring their friends too. We showcased the brand, its success and history around the world. The first lot was trained by veterans — from America and Australia — on sales techniques. They were trained to host parties and demonstrate to more people. What was the biggest challenge in India? The biggest challenge back then was to make women understand they could actually do this. Most of them said they had never worked and some said they had day jobs. We had to make them realise that it was close to what they were anyway doing — cooking, spending time with friends; this business didn’t go against their grain. It is an extension of what you are. That’s how we got over the initial hump. We didn’t have many emancipated women almost two decades back. Now, women have become emancipated over time, are more courageous. We were at the cusp of that. That challenge isn’t there anymore. With time, we have also become more experienced in doing things more consistently. Did the brand ever feel threatened by environmental concerns around plastics? The interesting thing was that people had absolutely no such perception about Tupperware. Our lifetime warranty works in such a way, even from an ecological standpoint, where we take back and replace a broken product with a new one. So our products are not seen in garbage collection centres. They are re-crushed and remade for non-food uses like garbage containers. Prima facie, a Tupperware product lasts much longer than any other plastic container. Say, a lid isn’t okay anymore, we replace it even if it was bought 30 years back in another country. How does India compare with other Asia-Pacific countries in sales and brand awareness? India is certainly one of our key markets. There are only a few countries which have the kind of population and emerging middle-class like India, China and Indonesia. In India, the brand awareness is extremely good; it is 70 per cent in the metros. We have a strong top-of-the-mind awareness. Why are men not part of your workforce? There are some men who are part of the workforce in countries where it works. But they are barely 5 per cent of our sales force globally. Seeing the socio-cultural pattern in India, we find it best to have women in our sales teams. Women deserve more opportunities and never got them. It is our way of giving them 100 per cent reservation.